Fabian Barrutia Franco serves as a Managing Director for 1stWEST Mergers & Acquisitions. Fabian brings an in-depth knowledge of Mexico with over 25 years of corporate level senior management experience in the pharmaceutical, construction, transportation and financial services industries. Fabian has strong operational, financial and M&A transactional skills. Fabian has an excellent corporate and private company leadership background that includes CEO of Intercorp, COO of Prescription Drugs, CFO of Grupo PDM, and Corporate Controller for Serral. In addition, he has worked with the tax consulting firm Chevez, Ruiz, Zamarripa and the accounting firm Freysinnier Morin. Fabian received his Top Executive Master Business Administration ( EMBA), from Instituto Panamericano de Alta Dirección de Empresas (IPADE), his Tax Certificated Degree from Instituto Tecnológico Autonomo de México ( ITAM), and College Degree from Universidad Iberoamericana (UIA), Certified Public Accountant. 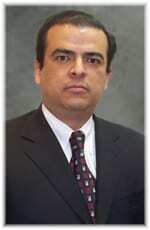 He is a member of the Mexican Certified Public Acccountants Institute and is fluent in both Spanish and English.